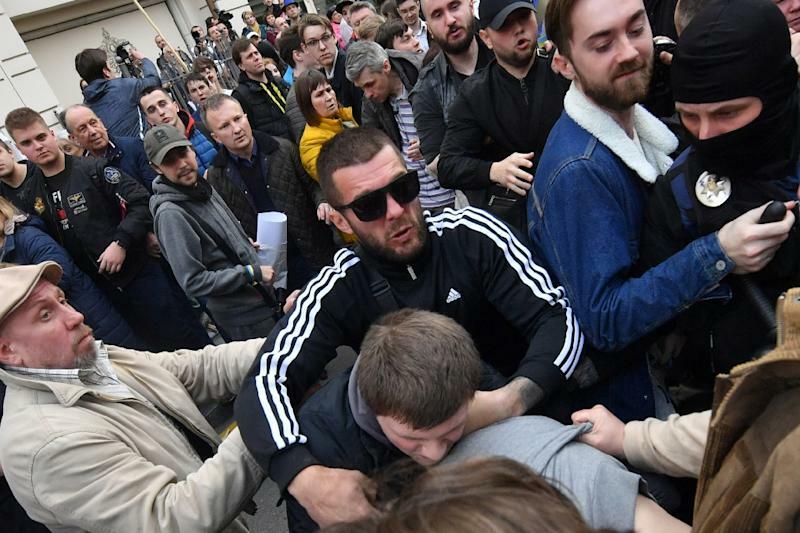 Kiev (AFP) - Ukraine's interior ministry on Saturday called on a comedian tipped to become the country's next president and his incumbent rival not to exacerbate tensions ahead of a run-off in a high-stakes election. Nerves are starting to fray as polls show the comic and actor Volodymyr Zelensky easily defeating President Petro Poroshenko for the leadership of a country seen as the biggest frontier between Europe and Russia. 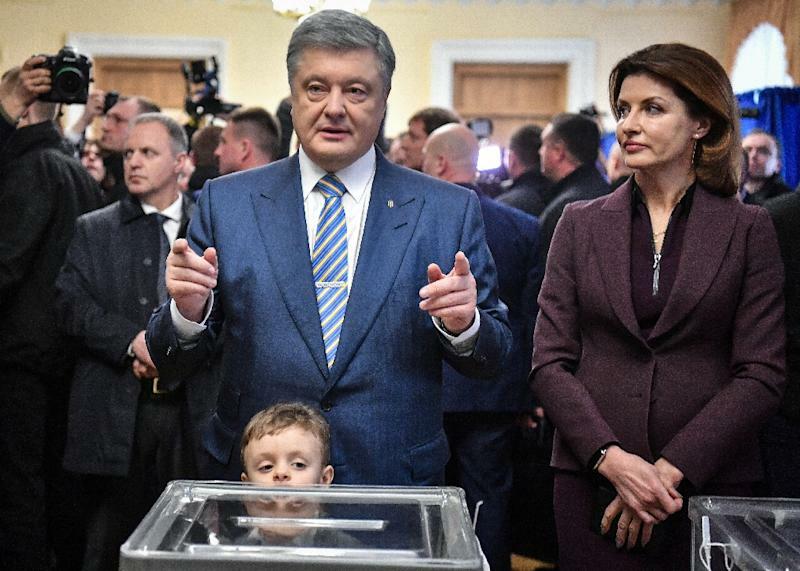 Poroshenko garnered 24 percent, in a sign that Ukrainians are fed up with mainstream politics, war with Kremlin-backed rebels, poverty and corruption. Both men have also undergone drugs tests at Zelensky's insistence to prove they do not have a substance abuse problem. Ukraine's leader has been eager to spar with Zelensky and suggested they hold a policy debate on Sunday. Zelensky said he was ready to face off with Poroshenko at the country's largest stadium on April 19, two days before the run-off vote.